Self-love is not to be confused with self-absorption, the narcissistic insistence on getting your own way through manipulating others. Self-love is whole and healthy –you do not use people as a means to your own ends and you feel good about yourself. This February 14th instead of lamenting that you don't have a sweetheart to spend it with and complain about all your friends going out with their girlfriends and making you feel miserable, try something different -and healthier- for your own sake! You. Yes, YOU, my darling deserve to fall in love and celebrate yourself this Valentine’s Day. Easier said than done? Keep reading. If we want to experience true love, we first need to learn how to love aspects of ourselves. Love is not only a feeling. It is a verb - an action. Most of us would be shocked if we could hear a recording of our inner dialogue. We would see just how many times a day we judge or criticize ourselves harshly. Sometimes we treat ourselves far worse than we could imagine treating someone else. So become aware of the negative self-talk and realize that it’s you -and only you- who is choosing to put yourself down. Instead, choose to tell yourself a different, more self-respectful story whenever that negative impertinent voice raises its noise level. I’m not talking about a fluffy “think positive” new-age kind of approach here. I’m talking about becoming brutally aware of the way in which we treat ourselves with our self-dialogue fueled with self-criticism, self-rejection and even self-hate. Let’s focus on the first step for now and choose our thoughts wisely. Loving yourself is intimately related with knowing how to better take care of your basic needs. In other words, when we neglect our own self-care we neglect self-love. Women high in self-love nourish their bodies daily through healthy activities, like eating nutritious foods, engaging in adequate exercise, and getting proper sleep. 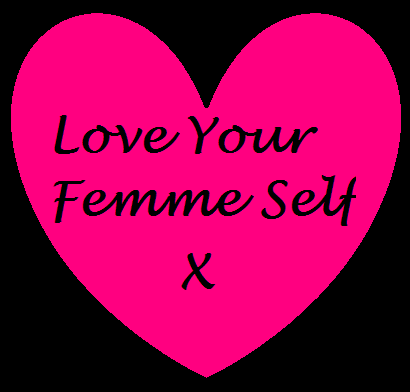 Self-love is directly related with how you look and feel, and vice versa. That’s why struggling with weight can be a major cause of lack of self-acceptance. Adopting healthy eating, exercise and rest habits can help you loose weight, feel more energized, have brighter looking skin, and feel less irritable or prone to anxiety and stress. The downside of taking responsibility for our actions is punishing ourselves too much for mistakes in learning and growing. Forgiving yourself can be much harder than forgiving someone else. You have to accept that you are human (the fact that you are not perfect! ), before you can truly love yourself. When you're carrying around a sense of blame for something that has happened in the past, this burden of negativity delving deep into yourself can cause a never-ending, pervasive sense of unhappiness. Forgiving yourself is an important act of moving forward and releasing yourself from the past. Practice being less hard on yourself when you make a mistake. There are no failures if you have learned and grown from your mistakes; there are only lessons learned. It takes courage to say it; it’s hard to receive it; but setting limits sets us free! Set healthy boundaries or say “No” to work, people, or activities that deplete or harm you physically, emotionally, mentally and spiritually. We tend to be unaware of the power of “No” because, in part, it is easily confused with negativity. But negativity is a chronic attitude and saying “No” is a moment of clear choice. This “No” is an affirmation of self and it implicitly acknowledges personal responsibility. It says that while each of us loves, respects, and values relationships with others, we do not and cannot allow ourselves always to be influenced by them. This Valentine’s Day choose just one or two of these self-love actions to work on, you will begin to accept and love yourself more. Whether you do or don't have a girlfriend, wife, lover or someone to celebrate Valentine’s Day with, now you know that she is not a pre-requisite for you to have a lovely and special day on February 14th. Healthy lifestyle author and the creator of Vitamin L - body, mind, and soul nourishment for lipstick lesbians or femmes.